American 3D computer-animated Christmas comedy ‘The Grinch’ is being shown in seven Sri Lankan cinemas to spread more cheer this festive and holiday season. The theatres are Liberty by Scope Cinemas, Scope Cinemas CCC, Empire – Colombo, MC Cinemas – Colombo, Savoy Colombo 04, Liberty Lite and Vista – Ja-Ela. 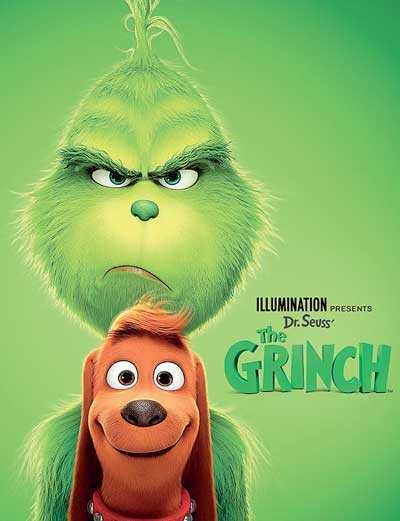 Illumination and Universal Pictures presented ‘The Grinch’ is based on Dr. Seuss’ beloved holiday classic. The Grinch tells the story of a cynical grump who goes on a mission to steal Christmas, only to have his heart changed by a young girl’s generous holiday spirit. Funny, heartwarming and visually stunning, it’s a universal story about the spirit of Christmas and the indomitable power of optimism. Each year at Christmas they disrupt his tranquil solitude with their increasingly bigger, brighter and louder celebrations. When the Whos declare they are going to make Christmas three times bigger this year, the Grinch realises there is only one way for him to gain some peace and quiet: he must steal Christmas. To do so, he decides he will pose as Santa Claus on Christmas Eve, even going so far as to trap a lackadaisical misfit reindeer to pull his sleigh. Meanwhile, down in Who-ville, Cindy-Lou Who – a young girl overflowing with holiday cheer – plots with her gang of friends to trap Santa Claus as he makes his Christmas Eve rounds so that she can thank him for help for her overworked single mother. As Christmas approaches, however, her good-natured scheming threatens to collide with the Grinch’s more nefarious one. Will Cindy-Lou achieve her goal of finally meeting Santa Claus? Will the Grinch succeed in silencing the Whos’ holiday cheer once and for all?